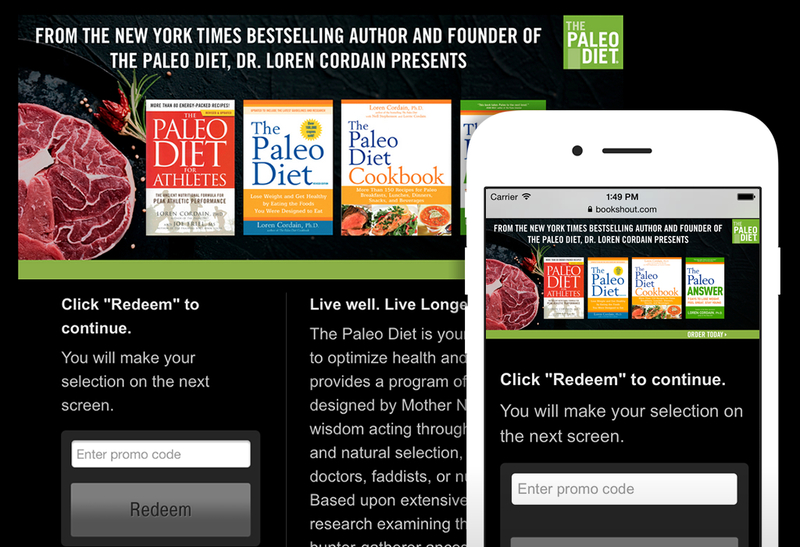 Requirements: Allow users to find an eBook on the Paleo Diet website and buy it through a Paleo-branded experience. The Paleo Diet team wanted a solution allowing users who visited www.thepaleodiet.com to purchase eBooks. The site was already selling print books and wanted to extend their offering to include digital books. Using BookShout’s Affiliate Sales Program, Paleo Diet was able to offer users the ability to browse and buy eBooks, while maintaining their customized, branded experience. BookShout handles the design, backend technology, and customer service allowing consumers to directly purchase Dr. Cordain’s eBooks. Users can download and read their eBook via the web or launch the BookShout app for reading on the go. In addition, users can track their reading to reach personal or group goals.